Every couple of weekends, the four year old and I make a trip to the library to pick out a fresh batch of books while his little brother stays at home with mom for an afternoon nap. Yesterday, we came back with about two dozen new books for bedtime reading. 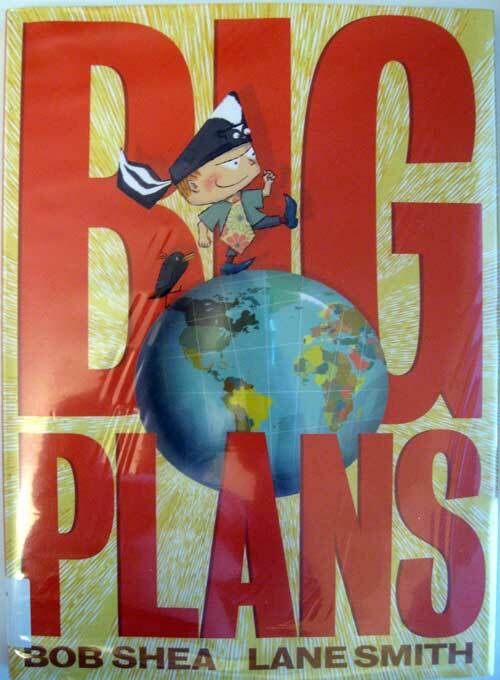 The story follows a boy who has “BIG PLANS. BIG PLANS I SAY.”, and he’s not afraid to let everyone know it. I love the design of this book, which, while not fully appreciated by a four and two year old, adds a lot to the humor and tone of the story. WhatTheFont wasn’t able to identify the fonts used, so maybe I’ll have to submit a sample to their forum to figure out the main typefaces. 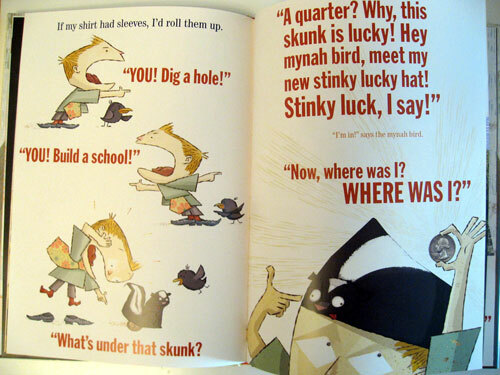 In any case, well done Bob Shea and Lane Smith. Well done.